Attract more customers with Google AdWords management from Ignite Digital Solutions, your Google Ads Partner. Get more sales and new customers with our Google Ads (AdWords) management solutions! A successful AdWords campaign will drive relevant traffic to your website, bring new customers and increase sales, helping achieve your business goals. An AdWords Management Strategy tailored to your business. No lock in monthly contracts, after the setup and first month you can pause or stop anytime. 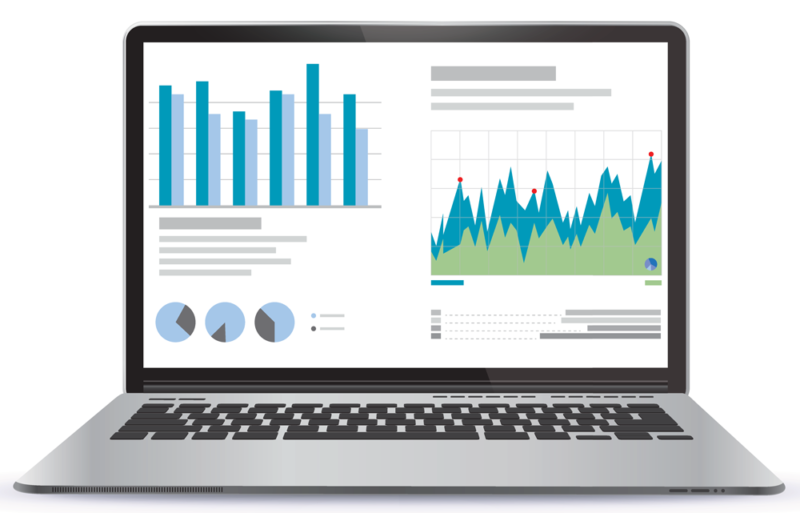 Detailed reporting using Analytics, AdWords and industry leading-software. Full ownership! You own the AdWords account, we set up and run the AdWords account, but you own YOUR data. Account managed by AdWords and Analytics qualified specialists. Data driven Google Ads solutions. Why should your business use Google AdWords? Google AdWords and other PPC products are quick to set up and you get immediate results, there's no waiting to rank like SEO. Once an AdWords campaign is set up you can often have sales and new customers within hours. Set your own spend level. Target specific customer audience groups, locations, time of day. Highly customisable in being able to show different ads to different audience groups. 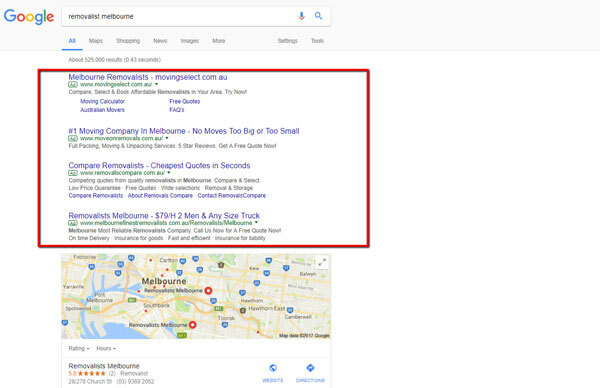 Your ad can appear above the organic results and include contact and location information. AdWords appear before organic and local business listings in Google's search results! Google AdWords are charged each time someone clicks your ad, for display ads you can be charged per click or per one thousand impressions (CPM), plus some other variations. The click spend charges are paid directly by you to Google by either credit card or PayPal. Setup fees and management fees are paid to Ignite Digital Solutions, these cover the setup costs of the account and campaigns, and then the ongoing changes and maintenance required to constantly improve your conversions or your cost of acquiring each sale or customer. Setup - AdWords account set up, keyword selection, ad copy, conversion tracking and remarketing. Management Fees - Changes and maintenance to your account. We understand the needs of small and medium-sized businesses and the importance of getting new customers and sales online. Our Google AdWords and pay per click campaigns are targeted to achieve your business goals and return a positive return on investment (ROI). Each account and campaign is set up by a Google AdWords certified and Google Analytics IQ certified specialist. Ignite Digital can tailor a campaign to suit your budget, the level of click spend is entirely up to you. Mobile optimized — target customers searching by mobile device near your business, add a contact number, location and special deals information to your ads. Complete transparency, you have ownership and access to the AdWords account to view spend, click and conversion data. Remarket your business to customers who have previously visited your website. Take advantage of the $100 free Google AdWords voucher. To arrange an initial no-cost discussion please complete the contact form or call on the number below. Contact us today and one of our Google AdWords qualified specialists will guide you through the process to get started with Adwords. We also audit existing Google AdWords campaigns to see if your business is getting the most it can from AdWords. Maximising conversions and eliminating wasted spend means more profit for your business. After 18 years Google is retiring the AdWords brand and re-branding the ad platform as Google Ads. The new Google Ads brand represents all the Google platforms you can use Google Ads on including search, YouTube, Google Maps, Google Play and partner sites. You will start noticing the branding change from mid-July, 2018. You won't notice much change in the new Google Ads dashboard but feel free to contact us if you have any questions or need help. Am I locked into any contract for your AdWords Management? No, our AdWords management services are charged for the setup and first month and then you have the option to continue month to month after that. There is no lock-in period, the service just rolls over one month at a time on the first day of each month. How do I pay for the AdWords click spend to Google? You can pay for your Google AdWords click spend by credit card, bank transfer or BPAY. Do I own the AdWords account you set up? Yes, the Google AdWords account is set up on your behalf and for your ownership. If you decide down the track to maintain the AdWords account yourself then you are welcome to do that. The benefit of AdWords over other online marketing is that the results are almost immediate from the campaign going live, we have seen instances of a lead to a customer in under an hour from going live. Do I need a landing page built as well? Ideally yes, but it depends on your current website pages. The best results will come from having specific landing pages per campaign or ad group, conversion rates will be much better. What is the difference between Google Ads and AdWords? There is no difference other than the name. In July 2018 Google re-branded the AdWords platform and it's now Google Ads. Google Partners / Google Ads agencies can still manage search ads, display ads, YouTube ads, Google maps ads, remarketing ads from the Google Ads platform for your business. Can I use Google Ads without a website? There are options to run ads without a website using Adwords Express. We suggest designing a simple and inexpensive one-page website/landing page and using the full Google Ads account. You can then also choose to use call only ads. Ignite Digital is a Melbourne based digital marketing agency providing high-performance online marketing to small and medium businesses.